Did anyone expect this? Did anyone want this? It’s not as though the first Galactic Empire album offered much more than the fleeting novelty of recognisable tracks from the Star Wars scores covered in a prog-metal style, so it’s baffling to think that some semblance of a career has been formed from this. And yet, even that first album rarely stuck, and when that contained the vast majority of the franchise’s notable and significant musical moment, it’s initially difficult to think what Episode II can do that’ll be even remotely different. And what do we end up getting? Absolutely nothing. Episode II is essentially more of the same of something which wasn’t even that good to start with, but where that felt like a novelty not exactly hitting the execution, this is just scraping any remaining dregs from an idea that’s already bone-dry. And the best place to see that in full effect is the tracklisting; for the initial intent of transforming Star Wars’ most recognisable cuts, Episode II just shows how many of those were used up the first time around. Apart from the odd Star Wars motif that pops up in about three different tracks, these could simply be a number of instrumental prog tracks that would already be forgettable enough. The only one that can be placed to any significant capacity on it’s own is The Droid Invasion And The Appearance Of Darth Maul, and while that’s hardly among the franchise’s A-material, it can at least be picked up on, more than can be said for “deep cuts” like Hyperspace or Love Pledge And The Arena. And just like this first album again, what prevents this from being a total wash is that Galactic Empire are actually competent musicians. On a technical level, Episode II is perfectly fine in its own brand of prog-metal; the guitars and able to soar and howl while there’s a noticeable ironclad heft to the drums, and the fact that this is all completely instrumental leaves it unhindered by vocal contributions that have historically lacked with this type of metal. Once again, just like the first, there’s credit to be given there, but if it hasn’t sunk in that this isn’t the sort of thing that benefits from a prog reimagining at this point, then it likely never will. And yet again, when put next to John Williams’ orchestral originals and the regard they’re held in, Galactic Empire can’t hope to match the drama and gravitas that they created. It’s just a mess that can’t salvage anything significant from an increasingly lofty set of ideals that were near-impossible to meet the first time around, and meet the same fate here. But that’s probably because both Galactic Empire albums up to this point are more or less the same – totally unnecessary in the conversation surrounding anything they’re even remotely linked to, and with nothing that you’ll remember about five minutes after turning them off. But considering there’s not much from the source material in this case, Episode II feels even more like a wasted effort, and one that, in all honesty, should probably never have existed in the first place. And as long as Galactic Empire keep going in this direction, that’s not going to change. 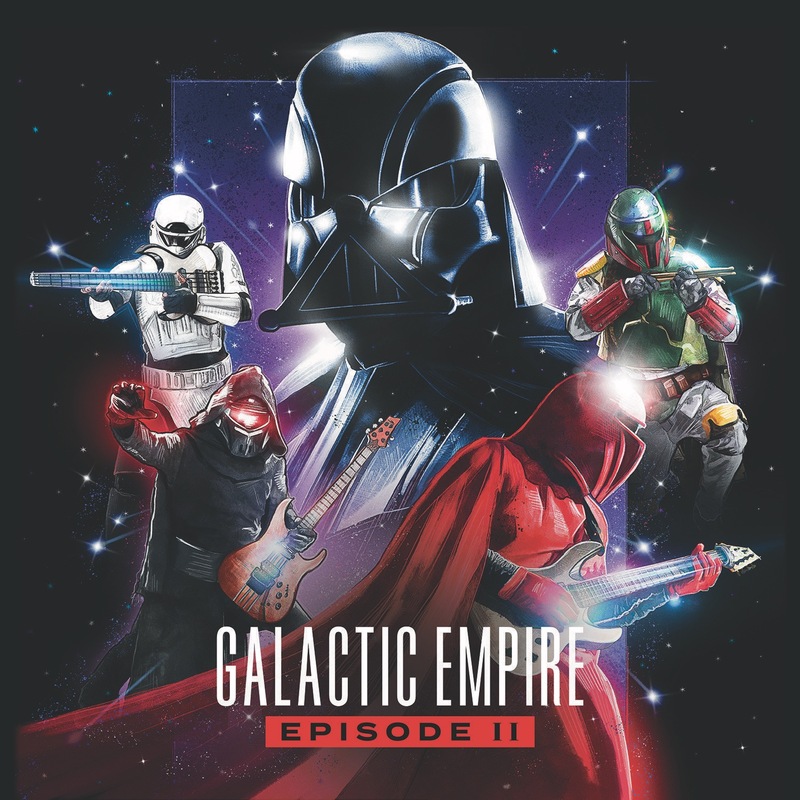 ‘Episode II’ by Galactic Empire is released on 4th May on Rise Records. You’re crazy! Galactic Empire is more that just a prong metal take on Williams’s star wars score. If you listen closely you’ll hear that these guys live and breathe this awsome music that they make. They literally accentuate every sound that the original score has with their crazy hard guitar riffs and phenomenal drumming note for note. They are the best pound for pound “nostalgic alternate sound” band in the land. They even have crazy cool videos for their songs. But, to each his own.